Long time Sea of Shoes followers will know my obsession with dinosaurs. If you look hard in my living room you will notice several plastic ones tucked into bookshelves. 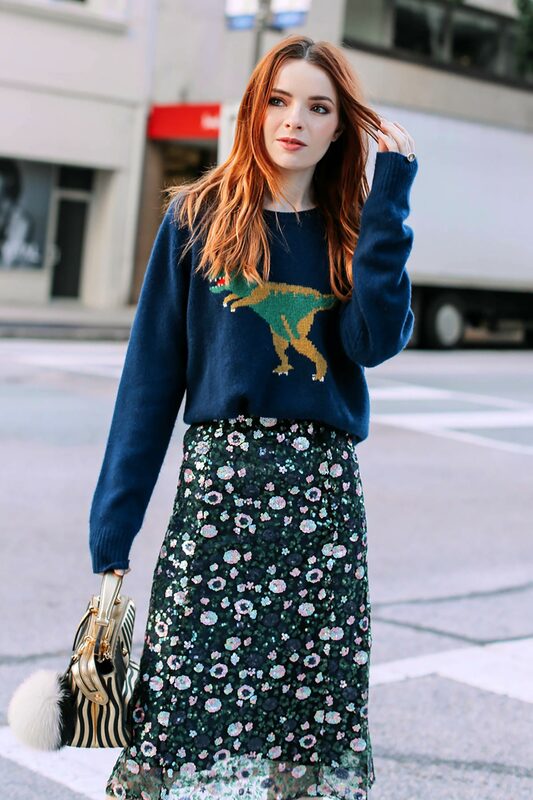 Naturally I could not resist this adorable dinosaur sweater by Coach! It’s super soft and I ordered mine in a XL for a sloppy fit. Wearing Coach dinosaur sweater with Stylenanda sequin skirt (from several years ago), Miu Miu dragonfly shoes with green ribbed socks by Happy Socks, and a Fendi Dotcom bag.